Kelly Clark is a humble champion. Her down-to-earth demeanor belies the fact that she regularly spends time overhead and her aptitude for amplitude has allowed her to collect more gold than a western prospector at the turn of the nineteenth century. Since this Vermont-native first put on a contest bib in 1999, she has gone on to earn more top three appearances than anyone else in snowboarding. Ever. 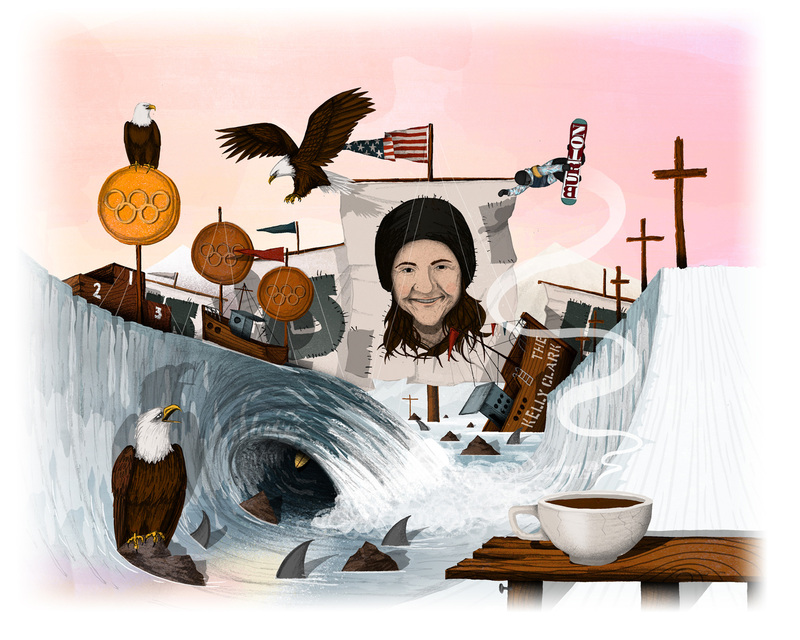 We will say that again: Kelly Clark is the winningest snowboarder, male or female, in the history of our sport. In the realm of competing, few other professional snowboarders come close to the legacy that Kelly commands. Take it from Eddie Wall, former Forum street savant turned knowledgeable snow announcer, “Kelly is thirty-two years old and is still on the top of her game. One of the most impressive accomplishments a pro can achieve is longevity. To stay on the top and remain there for years is something very, very few snowboarders are able to do.” Even more impressive than her thirteen precious metals from X Games (nine of which are gold), four appearances and three medals in the Olympics since 2002, four World Snowboard Tour titles, five Grand Prix overall titles, and eight wins at the Burton US Open Snowboarding Championships, is the fact that each time Kelly drops in she is upping her own personal ante. There’s zero complacency in Kelly’s riding. Every winter she offers up bigger airs, bigger spins and new trick combinations within the walls of the pipe and it is this dedication to continually improving her craft that not only makes her a winner, but fosters respect within the ranks of her peers. JP Walker, another professional who can lay claim to an illustrious and continuingly progressive career sums it up succinctly, saying Kelly has “Been killing forever. 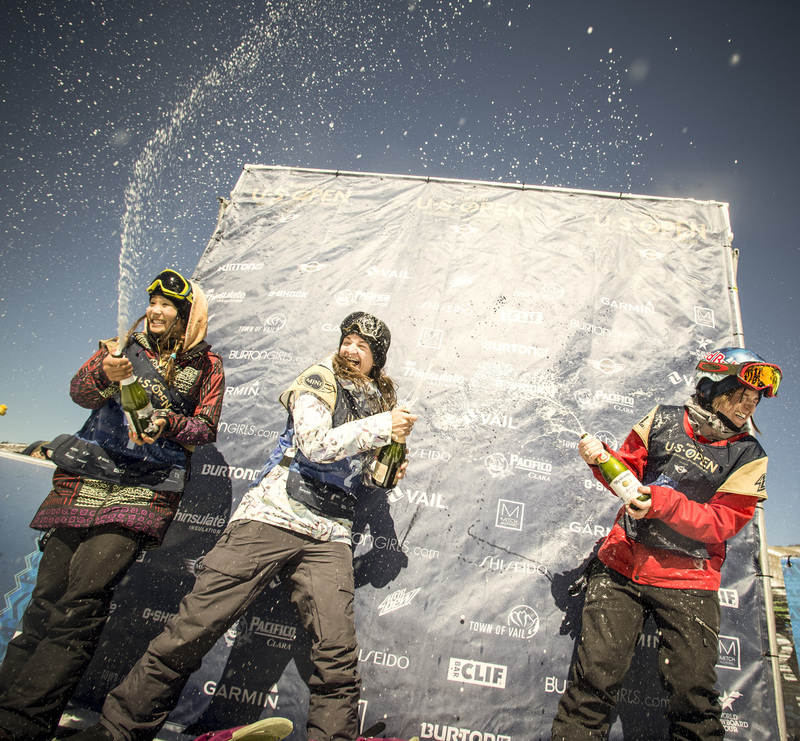 Chick blasts.” Now Kelly can add another award to her list of decorates, #3 Female Rider in SNOWBOARDER’s 2016 Rider of the Year. Fellow Mammoth local and backcountry stalwart Eric Jackson echoes a common sentiment about the longtime Burton rider, “I have mad respect for Kelly.” As Kelly continues her reign in well-groomed transition, as well as stepping out into the backcountry when not on the circuit, she also is dedicated to giving back to snowboarding. In 2010, Kelly founded The Kelly Clark Foundation, a non-profit that awards scholarships to young snowboarders to help them further reach their dreams. Since the foundation’s inception, over $100,000 has been awarded, a massive contribution to the future of snowboarding. As we head into another competition season for winter 2016, we have no doubt that we will continue looking up to Kelly, as a dedicated member of the snowboarding community whose accomplishments and accolades run deep, and of course, from the deck of the halfpipe as she boosts high overhead each time she drops in.